To setup a commit hook from GitHub, please refer to this article. To add a GitHub integration to your account, select integrations at the top of the BugHerd project management pages. On the Integrations page, find GitHub and select add integration. Congratulations, setup is complete! Any change you make in your BugHerd project will now be reflected in your nominated GitHub repo! Looking forward to a response so we can figure out what we need to do for bug tracking, since both integration and Orgs are a must-have. From today, BugHerd supports GitHub Organizations! When you enter your credentials, your list of repositories will now include repos from organizations you are part of. 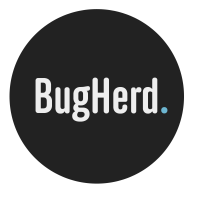 For those that wish to reconnect a BugHerd project to a repo under an Organization, please edit the existing BugHerd integration and re-enter your GitHub credentials to refresh the project list, and select the desired repo. Thanks to Jon for suggesting this feature! issue#1 doesnt seem to get marked as solved, is that expected or am i doing something wrong? This is the current behaviour; we currently do not pick up changes made in the GitHub Issues. This is something that we may improve in the future but this is made difficult by GitHub not having a web hook or similar mechanism for us to pick up on those changes. We are aware that not picking up changes from GitHub is limiting to our users. Stay tuned for some upcoming changes to the GitHub integration. We are currently working on separating the issue synchronization from the commit hook functionality as some users don't want or need to use both. The commit hook functionality will get some further fixes and improvements as well. Any update on when the github issues to BugHerd integration will be ready? I already have quite a few issues in github, and collaborators already working there, and would like to ease them over to bugheard, if it works out. Am I correct in saying that this integration doesn't seem to support access to private organisation repositories (even if I'm a team member)? Hi Leevi, we do support organisations, so if you would please send problem detail to support@bugherd.com we'll look into it for you. Is there any chance you guys are looking at adding this feature? Hi Joey, yes we are planning to add it, but it's not yet something we've started. Our API makes it possible to create a 2-way integration from and to GitHub as we also have web hooks. If this is of interest, please check the API documentation. Hey, guys. For security reasons, I am unwilling to give out my GitHub password. Thankfully, the GitHub API allows me to create an access token for applications with whatever restrictions I wish. I think your documentation should be updated to reflect this, as it is a good security practice. Where are you at with 2 way Github sync? I agree with @Paul. Also, I think this is required if you are using 2 factor authentication.